The Super Screener is Your Ticket to Cashing In on Breeders’ Cup 2018! After years of ripping-up Breeders’ Cup tickets and frustration, I knew there had to be secrets to the Breeders’ Cup that could be unlocked. I began an intense analysis of result charts and past performances going back more than 15 years and looking at over 1,500 horses to develop a system I could use – every year – to help me handicap and bet the Breeders’ Cup with confidence. The Breeders’ Cup Super Screener! 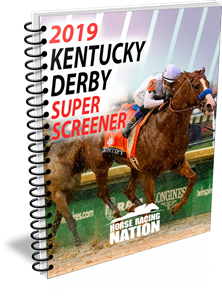 What is the Breeders’ Cup Super Screener? Read the comments from winners who crushed the Triple Crown & Breeders’ Cup! “You helped me knock it out if the park on a small budget. I did some of my own studying, but YOU pointed me in the right direction…..The 2013 Belmont winner has a new name…Palace ‘I love you’ Malice.. That was my cheer during the stretch run. If you order now, I’ll also send you my exact wagering strategies on the Thursday before the Breeders’ Cup including plays for small and large bankrolls! I will take what the Super Screener criteria says and construct Exacta, Trifecta and Superfecta tickets based on the information. I don’t know how long I’ll offer this bonus (I don’t want to deflate our potentially massive payoffs), so order now! Wagering strategies and tickets for all of the key Pick 4′s and Pick 6′s through the entire weekend for all budget levels including narrow, money-savings plays as well as aggressive punches – both of which can yield big payoffs! This has a value of $50. Get the scoop on the latest Breeders’ Cup contenders, track bias, and more, straight from Santa Anita in this exclusive webinar only accessible to Super Screener purchasers! As part of your purchase, you will receive access to our exclusive Super Screener wagering strategy including tickets customized to a wide variety of budgets. If all of those wagers miss on Breeders’ Cup, then we’ll give you your $57.00 back in the form of credit for a future purchase with us. Plus, you can keep the bonuses! We’re ready to crush the Breeders’ Cup… are you?